It should be a lesson that people learn at a relatively young age – don’t make a mountain out of a molehill just to try get more than you deserve. Sometimes, Plaintiffs who shoot for the moon, over-reach, and try to make their case into something it isn’t have to learn this lesson the hard way – through a jury’s verdict. In one of Cliff Wilson’s most recent jury trials, that is exactly what happened when the jury rejected the Plaintiff’s overstated claims and awarded her about half of what she had previously been offered in settlement. In an admitted liability case tried to the jury on the sole issue of the plaintiff’s damages, the plaintiff sued for nearly half a million dollars in damages (including punitive damages) for soft-tissue injuries and alleged TMJ as a result of an accident involving Cliff’s client, who was intoxicated at the time of the accident. Cliff’s client admitted that she was intoxicated when the accident occurred and that she was fully liable for the collision. After the plaintiff refused to discuss settlement for anything less than the defendant’s insurance policy limits, Cliff’s client made a very reasonable pre-trial offer to allow judgment. At trial, the plaintiff’s attorney put on an aggressive case, repeatedly attempting to use the defendant’s admitted intoxication to support his client’s damages value. In addition to calling police officers who were present at the accident scene, the plaintiff called two expensive medical experts to testify to the claimed severity of the plaintiff’s injuries. Throughout the case, the plaintiff continued to demand the immediate payment of the defendant’s insurance policy limits. Cliff and his client held firm on the objective value of the case and refused to yield to the pressure to pay a sum of money that was not supported by the medical evidence. After effective cross-examination of the plaintiff’s dental expert and chiropractor, Cliff introduced evidence of the plaintiff’s pre-existing TMJ condition, and pointed out the plaintiff’s lack of evidence to substantiate her excessive claims of injury. 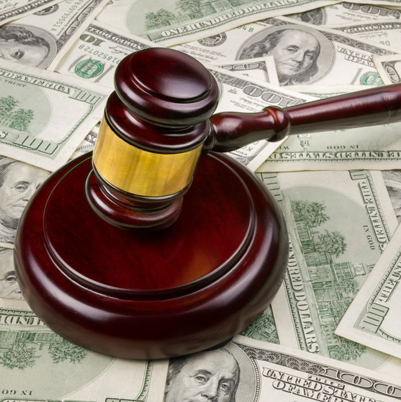 After closing arguments, the jury returned an award that was nowhere near the half million dollars the plaintiff was seeking, and well below the defendant’s insurance policy limit. In fact, the jury’s verdict ended up being less than half the pre-trial offer of settlement that Cliff and his client had extended. The icing on the cake is that due to Cliff’s beating the strategic offer of judgment, the plaintiff will be responsible for paying some of the defendant’s trial costs and expenses. This trial result goes to show the benefits of valuing a case right and sticking to your guns, particularly with an over-reaching plaintiff.